THE L.C EXPERIENCE: HAPPY BIRTHDAY JAEDON!! Just wanted all my people to wish my nephew Jaedon a Happy Birthday!! He is honestly the best nephew in the world!! Love ya, Uncle Damon. Happy B.Day man! Enjoy your day! Awww Happy birthday cutie. He's so adorable. 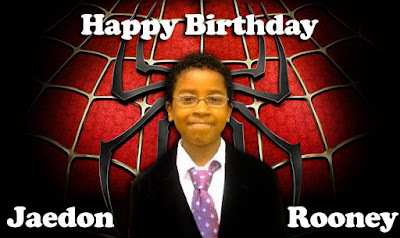 I want to send lil' man a BIG birthday shout out! Be good & good will come to you.